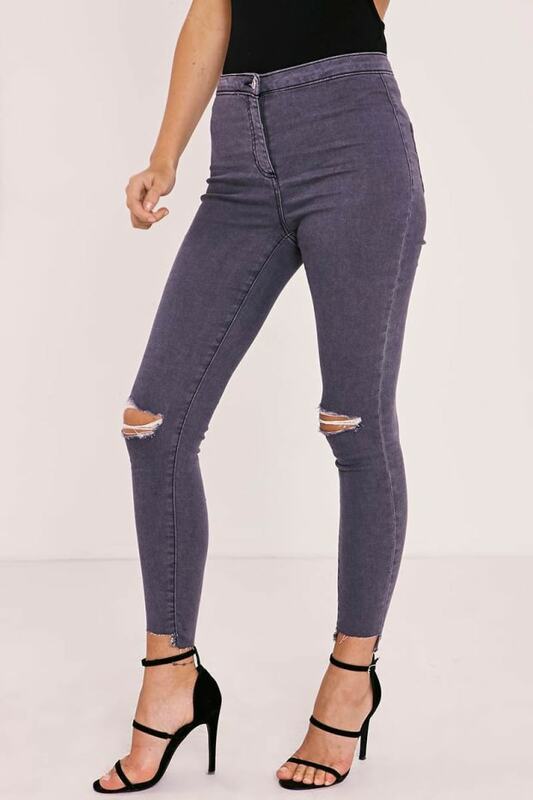 These comfy fit charcoal jeans are the perfect addition to your new season wardrobe. The figure hugging style makes them easy to dress up or down. 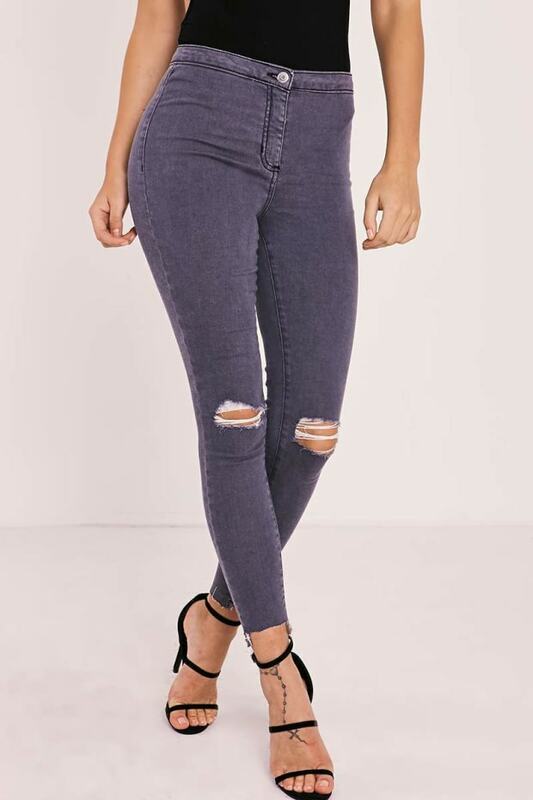 In a chic high waisted design with ripped jeans and frayed hems, what's not to love? Wear with killer heels and a basic bodysuit for the perfect look.